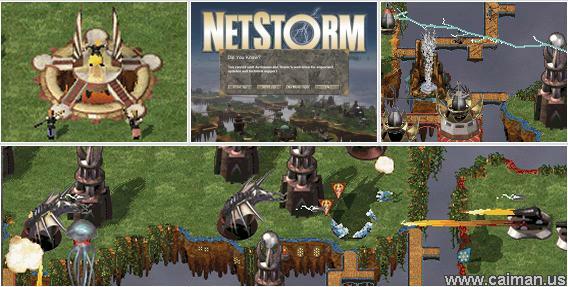 Netstorm is an RTS / builder combat game between priests in a fantasy world. High in the sky there are floating islands. On those islands the priests build their cities, and each player controls a priest. The object of the game is to capture the opponent priest and to sacrifice him. You have to build bridges in order to connect the floating islands with each other.